But other times, my heart is cool. I bob along gently like a balloon on a string. My heart feels lazy and slow, as quiet as a snowfall. This is when my heart is calm. I stand in Barnes and Noble, reading these words from In My Heart: A Book of Feelings by Jo Witek. I stand here holding my daughter, as my son wanders the store, and I realize that this is how my heart feels right now. This is how my heart always feels when we wander here. Sometimes we come to Barnes and Noble on a mission to find a specific book, sometimes in search of something new, and most often just to wander. This store is a happy place for us. Barnes and Noble was there when Troy was little and more interested in playing with the train than finding a new book. It was there for us when he needed the next book in the A Tale Dark and Grimm series and he couldn’t wait even a day. It was there each time he finished a book and needed something new. It was there when he finally decided he was ready to read Harry Potter. And it was there last year when he was struggling and needed a safe place. It has always brought both of us a feeling of peace when we needed it most. I stand here reading this book, holding my daughter in my arms as my son wanders. And I am filled with gratitude for this store full of books. This safe place. The calm we can always find regardless of the storms raging within. And I am filled with gratitude for all the memories that have occurred within these walls, surrounded by stories. wrapped around the blue petals. this is how it would always be. Sometimes in an irregular pattern. just learning to be here. and go to sleep, too. Just a little bit longer. “Can you put the discs for this audio book back in the right pockets? I want to return it after the movie,” I ask my son as I drive to the movie theater. He grabs the case to do as I ask, but I can sense his disapproval without even looking at him. I wait for him to complain. He just can’t except I’m never going to me the mom that always puts things back where they are supposed to go. Our house will never be in order. I am not June Cleaver, to his constant disappointment. “Why don’t you just put them back in the right place as you go?” There it is. 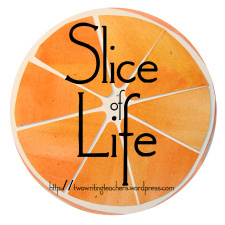 Posted on March 18, 2019 Categories Life as a Mommy, Life with a Teenager, Slice of LIfeTags slice of life7 Comments on I’m not June Cleaver. The gel was on my tummy. This was the moment we had been waiting for… confirmation that the life growing in my tummy was a boy. There were only boys born in my family for the last twenty three years. This little one was a boy. No doubt! The technician turned on the big screen and moved the thing to my stomach. A black and white image of the baby popped up on the screen. I looked at Ryan, my husband, he kind of shrugged. Then we waited. She reached up and hit a switch. Click! 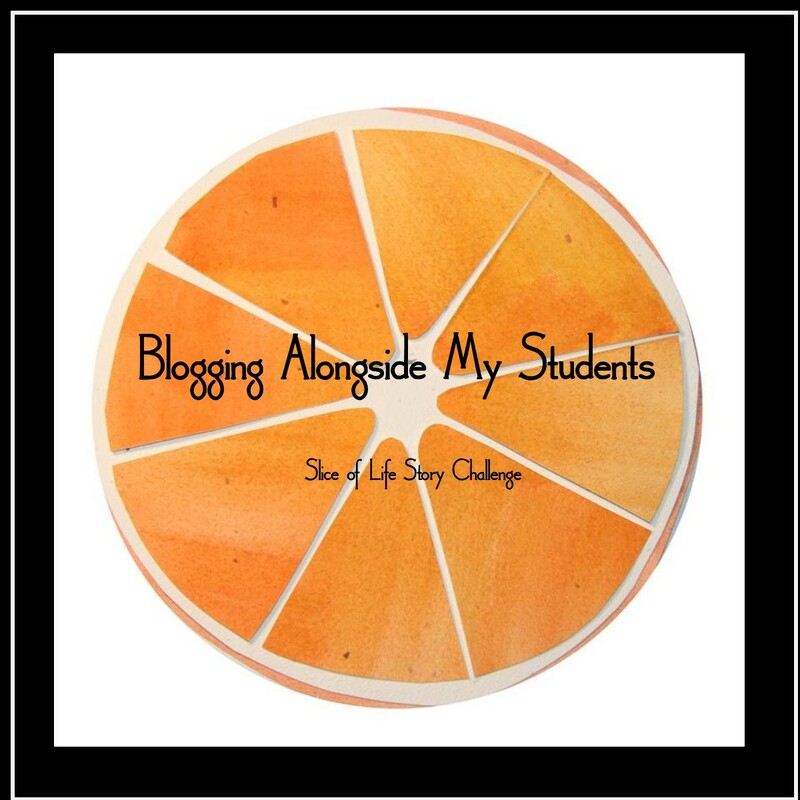 Posted on March 16, 2019 March 16, 2019 Categories Life as a Mommy, Slice of LIfeTags slice of life5 Comments on Girl or Boy? He walked straight to the kitchen, pausing only to take off his shoes. I heard the rustling of the plastic bag as he set it on the counter and opened it. He saw the beautiful apple pie that his great grandma had made especially for him. It’s a short slice, but one of my favorite moments from the last few days. I just can’t get enough of how much my kids love each other! And he’s definitely correct – she’s adorable!